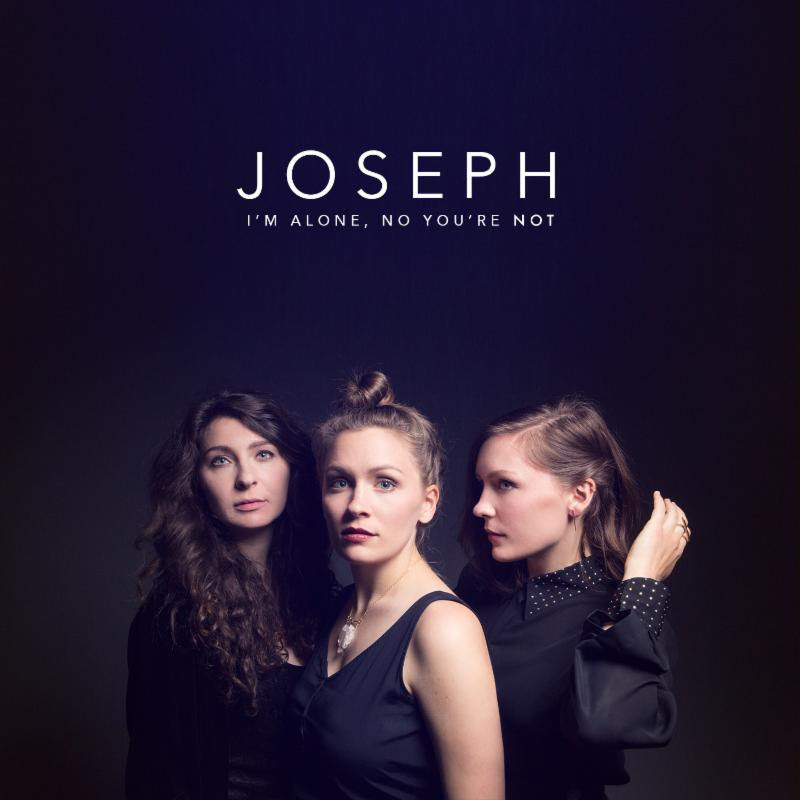 Sister trio Joseph have left their small town in Oregon behind to pursue music. Naming their band after their grandfather Jo, they didn't realise that they sung together so well until a few years ago. That formula proved to work as they've already been named one of Spotify's Spotlight artists and are touring the US this fall with James Bay, and Europe with Michael Kiwanuka (whose album I reviewed - read here). The album starts upbeat and Wild West-influenced with 'Canyon', a great introduction to the record and to draw listeners in like quicksand as you want to see what the rest of the album has to exhibit. 'SOS (Overboard)' marks the start of the slower songs on the album, as its chorus slightly resembles the sound of The Police's 'Message In A Bottle' but it is still great nonetheless, as in this song (and throughout the whole album) their voices bounce off each other seamlessly. These sisters definitely have a gift that needs to be discovered by everyone at some point and is demonstrated through songs like 'Blood & Tears' and 'White Flag', with the latter bringing the tempo up and will definitely be a fan and stage favourite - everyone chanting chorus lyrics "burn the white flag!" should be a highlight of their upcoming gigs, and they would be silly to miss both of these songs out of their tour playlist. Album title words "I'm Alone, No You're Not" are used within the chorus of sweet ballad 'Honest', bringing the girls' voices together in sweet harmony and using them as a ghost-like backing track towards the end of the song. Closer track 'Sweet Dreams' incapsulates all of the points mentioned above to the soundtrack of quiet piano and piercing drums, giving the album a good round-up. I'm Alone, No You're Not is a showcase of raw talent from three sisters who are going to be contenders in the charts with this record and the singles they choose, not having to fight hard for it either. It doesn't matter which singles they choose, they're all going to be great and I can't wait to hear them on the radio sometime soon. They're going to have lots of new fans on tour, that's for sure. Check out the album on iTunes, Spotify and Amazon (UK | US). Follow Joseph on Twitter, Facebook and Instagram to see what they're up to. Don't forget to follow me on Instagram to see my updates and posts as soon as they're published.